Welcome to the The Yoga Teacher Chronicles, where I share the lessons I’m learning in my first year as a Christian yoga teacher. I share the good, the bad, and the ugly of the process of growing into an effective yoga teacher. Of learning how to live my faith both on and off the mat. A few months ago I ran across the work of Francesca Cervero. She is a local yogi whose speciality is teaching private yoga lessons and helping other instructors do the same. 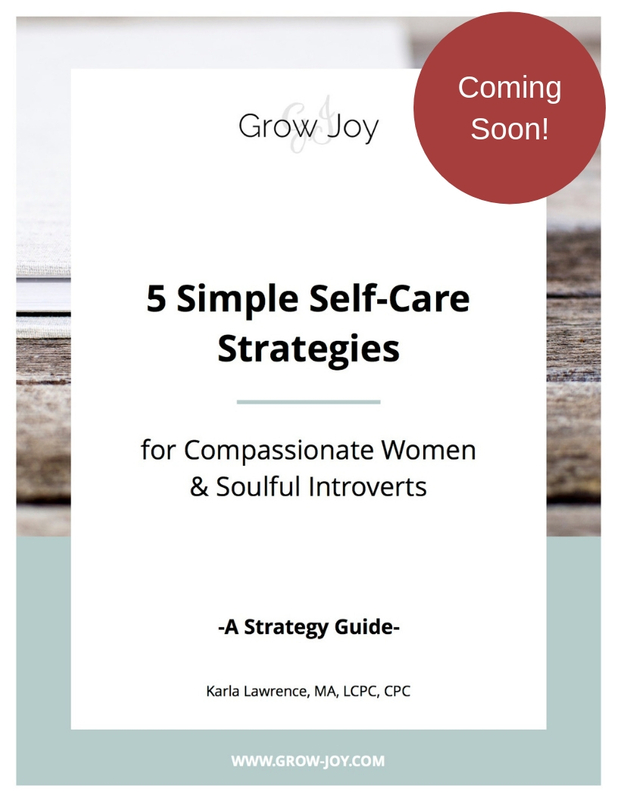 Her work has been an awesome resource since this is something I'm thinking about adding to the mix. She's super generous and knowledgeable so I definitely encourage you to check her out! In a recent video blog post she shared what she learned teaching her first private yoga lessons online. This led me to a podcast episode where she shared her thoughts on teaching without using your body to demonstrate. Prior to this, I had never thought about not using my body to teach so I was definitely intrigued. In my teacher training they talked about the concept of "stepping off the mat." The intention is to be flexible in where and how we are teaching our students. Typically, however, I practice or demonstrate poses (asanas) from my mat. Fast forward to a few weeks later where I had the misfortune of injuring my neck. This resulted in pain and limited range of motion. The best part -- this happened one day before I was scheduled to teach my weekly class. Ugh! My first thought was, "How am I going to teach my yoga class when I can barely move my head?!" My second thought was, "I guess this is as good a time as any to see what it’s like to teach just using my words, since I can't use my body." While I am not a fan of pain/injury as a way to motivate change, I must say it can be effective! When my student arrived for class I let her know I wouldn’t be able to practice with her. That instead I would rely on my verbal cuing alone. She's awesome so was down to experiment with me. To my pleasant surprise, as a teacher I loved it! I found it much easier to remain focused on my student. I was able to observe her breathing and cue movements that matched her breath patterns instead of my own. I stepped off the mat more naturally, moving props out of the way or providing them as needed. I even utilized some gentle manual adjustments -- something I'd only done rarely to that point. From my student’s perspective she acknowledged it was a bit weird not to watch my body move in and out of poses. As a result her focus shifted from observing me to observing her own body. Beyond this she noted feeling more connected to her breath and could feel herself “deepen” (which was our focus word) more into her asanas (poses). While I’m sorry it took me experiencing pain and physically not being able to practice asana with my student, I am sold on the power of stepping off the mat and using my words, more than my body to teach. After this experience I’m looking forward to teaching more with my words and less with my body. It really just makes more sense. After all, when I teach it’s about my students' practice not mine. 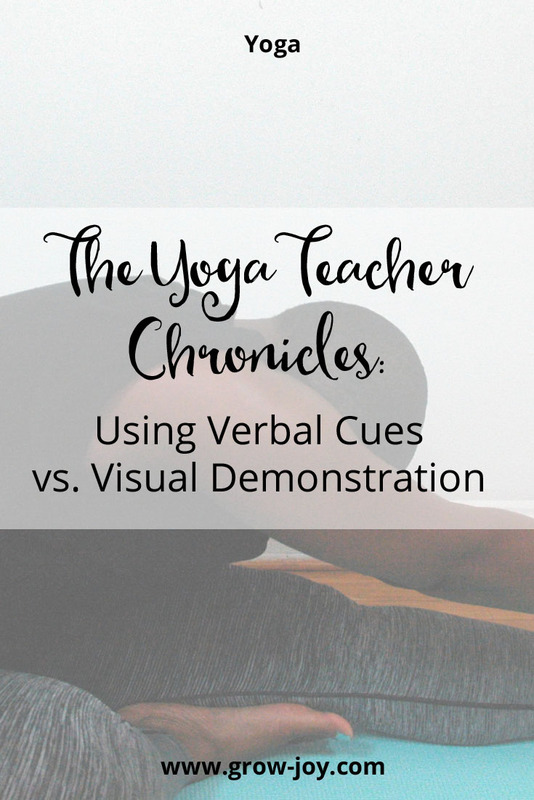 Are a yoga student or teacher who has a preference for demonstration over verbal cues or vice versa? Do you find there are times when using both is best? If so, I'd love to hear about it in the comments section below. P.S. If you would like to add more movement to your week, I invite you to attend my YogaFaith classes. They are held most Sundays between 9-10 AM. Class size is small and the practice is challenging yet gentle with a focus on connecting breath to movement and spending time Creator both on and off the mat. Find out more and register today!